Today I am teaming up with Kiss Me Darling and 31 other fabulous bloggers to bring you a $550 Kate Spade giveaway. Yep, you heard that right. 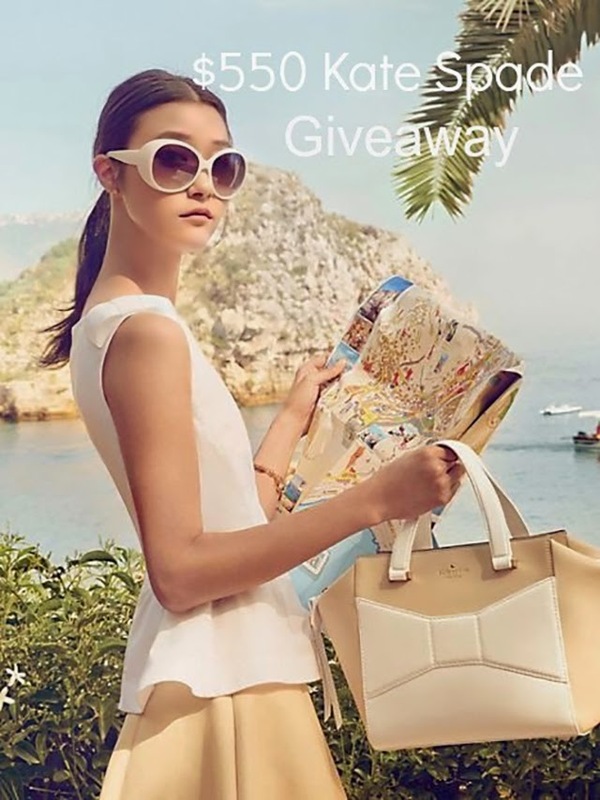 $550 split between two very lucky winners, to use at any Kate Spade online store. The great thing about Kate Spade, is that it's not only a great place to shop for your fashion needs, but also to spruce up your home. I've been eyeing this, this, and this! Amazing giveaway!!! I have never won anything before and it would be so amazing to win an amazing giveaway like this. With a one year old I definitely don't have an extra cash to blow. lol!! Ah! Yes, I totally understand! I'll keep my fingers and toes crossed for you!! Hi dear! Thanks for the invitation! I'll look into it.